The latest novel in French's Dublin Murder Squad crime series, this time focusing on the hard-edged detective Antoinette Conway. ...it’s time to recognize that French’s work renders absurd the lingering distinction between genre and literary fiction ... with her anger, intelligence and toughness, [Conway] emerges as French’s finest character yet ... Many fine writers have written well about police work but I don’t recall any novel that digs more deeply into police culture, the tricks of the trade, the ugly side and the heroics, too, than French does here ... it’s time for more of the people who review books and award prizes to rethink the cliches about genres and recognize the excellence — the literary excellence — of her work. ...a tour de force ... The Trespasser is brisk but not breathless. It would be a pity if Ms. French raced through such beautifully conceived and executed material ... [French] has become required reading for anyone who appreciates tough, unflinching intelligence and ingenious plotting. Most crime fiction is diverting; French’s is consuming ... French has figured out how to expand the series’ scope without abandoning the intensity of its focus ... Antoinette and Stephen get saddled with a third detective, a fatuous, patronizing showboater whom French deploys to delicious comic effect ... [most fictional] detectives investigate crimes, but French’s pursue mysteries, the kind that can never be completely solved, although we all spend a life’s worth of days in the trying. 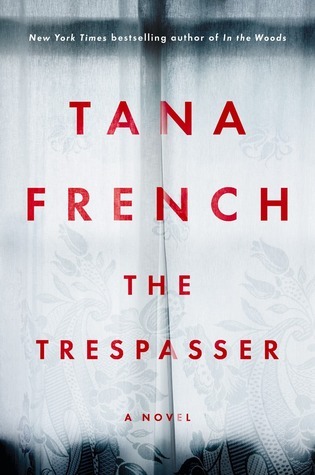 What did you think of The Trespasser?